Pronation: twisting your forearms from the thumbs up position to the thumbs together position. Deviation: pulling your hands in closer together than shoulder width. Extension: lowering your wrists and elevating your fingers. With the SafeType you don’t do any of those three potentially carpal-triggering things. 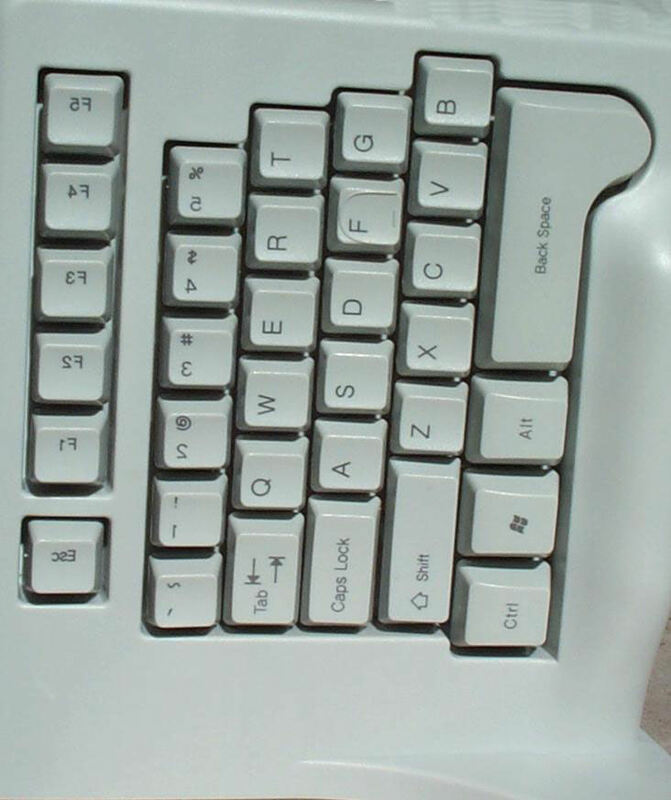 The keyboard has three pieces, a left and right vertical section each with half of a traditional QWERTY keyboard on it and a flat conventionally-mounted keyboard in the middle, with the navigation keys and the numeric keypad on it. See the photos below. Those strange flaps that look like rear view mirrors on a motorcycle are indeed mirrors, to let you see what you are doing if you hunt and peck. You can retract them if you are a pure touch typist. Click on the small photo to see an enlargement. Some of the key legends are reversed so they will appear correctly in the mirror. The SafeType keyboard goes as far as you can go to prevent carpal tunnel problems. 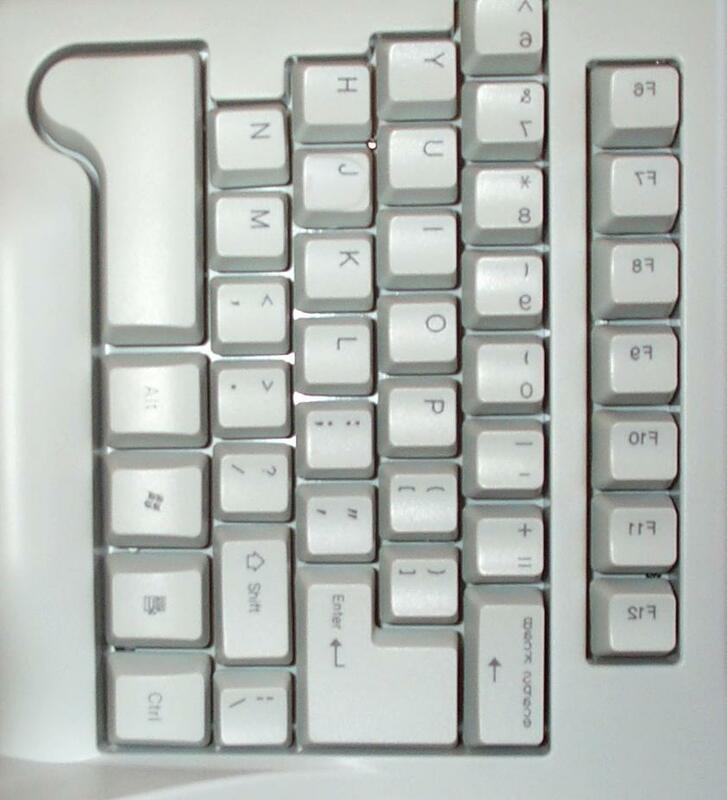 If this keyboard (with DSK (Dvorak Standard Keyboard) driver) does not solve your carpal problem, you will have to give up typing and use Dragon Naturally Speaking speech to text. I have not seen one in the flesh, but from the photos, the SafeType looks fairly sturdy compared with other vertical/slanted models I have seen. 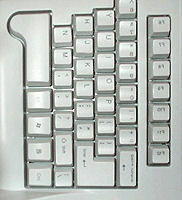 Because the layout is so similar to traditional keyboards, you can adjust to it quite quickly. Cornell University study backs up its claims of low carpal stress. 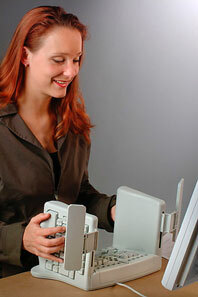 it will slow it down your typing by 10% and increase your error rate by 2%. There is no wrist rest. You have to hold your hands out hanging in mid air without any support. 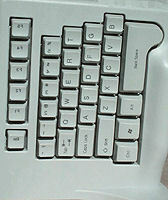 You have pull your left hand in and down to the middle keyboard every time you want to hit a navigation or insert key. This is comparable to the motion you need to take your right hand away to use a mouse. The middle keyboard has a number of mysterious tiny buttons. I asked SafeType what they were for. They declined to answer. Apparently to slake that curiosity, I would have to buy a keyboard and read the manual. 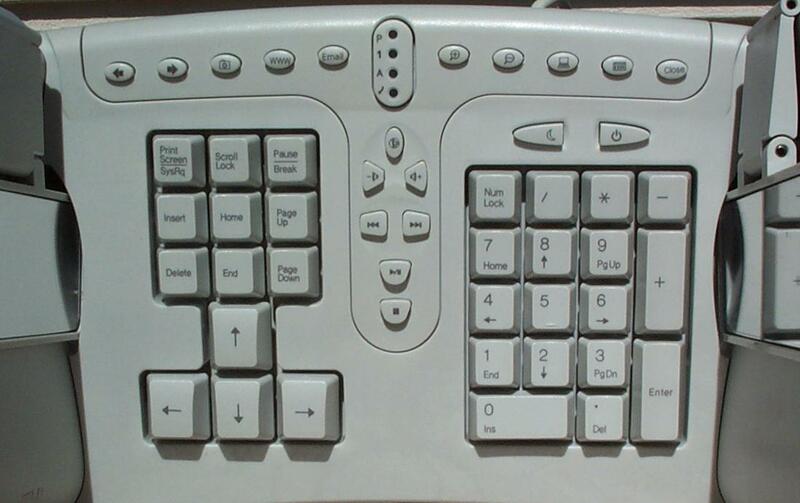 It does not come in a DSK version, but, of course, you could use a DSK keyboard driver to handle that in software.